Chebacco Woods was purchased in 1997 from Gordon College by the Towns of Hamilton and Manchester by-the-Sea. After a long and dedicated effort to preserve this parcel from the development, lasting several years, the Towns became joint owners using a combination of state self-help fund grants, local municipal conservation fund monies and privately raised donations. At the time of the purchase, the acquisition was the largest single conveyance of a parcel for public conservation purposes on the North Shore since World War II. CWLMC is the entity which administers and supervises “Chebacco Woods”. CWLMC has members from both Towns, appointed by both Town’s Boards of Selectmen and Conservation Commissions. 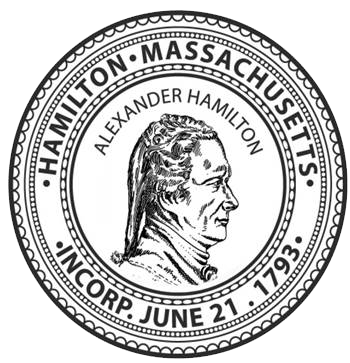 Please contact the Hamilton Commission coordinator jhankin@hamiltonma.gov for information on how to get in touch with CWLMC directly. Entrances to the Woods are located off Chebacco Rd in Hamilton. There is limited public parking available on Chebacco Rd. for Chebacco Woods users. CWLMC maintains the trails in the Woods and provides maps and services to anyone, who uses the Woods for passive recreational purposes. Chebacco Woods is open from dawn to dusk throughout the year. Hiking, biking, jogging, equestrian use, kayaking and canoeing on Round Pond and Gravelly Pond are allowed, as is fishing as long as no motorized crafts are used. Over-night camping is not permitted and hunting is not permitted in Chebacco Woods. Attention dog owners and dog walkers. The Hamilton leash law applies in Chebacco Woods. Whether leashed or unleashed, your dog, or dogs, must be under strict control while exercising in the Woods. Further, dogs are not permitted to swim in any of the ponds on the property.